We are looking forward to welcome 18 teams and guests from 20 countries in Maienfeld. 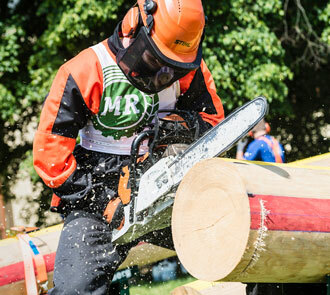 The European Championships in Forestry Skills is a European-wide competition between forestry schools from about 20 countries. 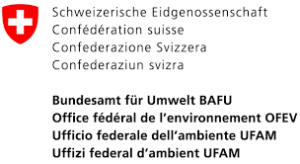 Every country is represented by 4 students for the forestry school, who won the corresponding national competition. 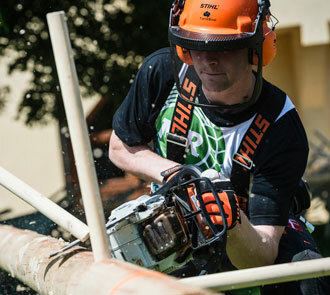 The championship consists of the following disiplines: Felling cut, Fitting another chain, Bucking by combined cuts, Precision bucking, Limbing and a Forestry Course with 16 tasks in forest measuring, flora and fauna. A tree must be cut down within 90 seconds on a simulator, which is aimed to fall as near as possible to a pre-determined felling direction. During the discipline, one must work within the valid safety regulations and working techniques. With a ready to use chainsaw, one must dismantle and assemble the cutting apparatus. The chain must be taken off, the bar must be turned and another chain must be fitted. 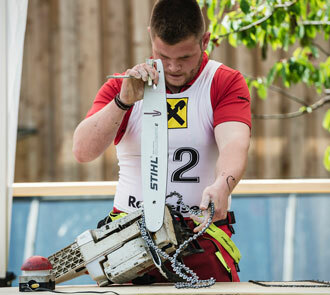 The new chain must be fitted so that the chainsaw is ready to use in the two following disciplines without adjustments. From two logs, one must cut a disc of wood no thinner than 30 mm and no thicker than 80 mm. This must be done by cutting the first half upwards from beneath the log and the second half from the top. The contestant gets the highest points when the upper and downward cuts meet each other, without a step, within the marked red zone and at right-angles to the length of the log. 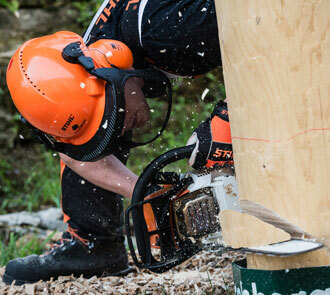 From two logs, one must aim to completely cut off a disc between 30 and 80 mm thickness. The disc must be cut at right angles to the longitudinal axis of the stem. The contestant must try to cut the whole disc without damaging the board. Damaging the board will lead to zero points for the accuracy of the cut. The discipline will be performed while the log is in a thin layer of sawdust that hides where the log contacts the surface of the board. In a cylindrically trimmed stem, 30 round branches, all equal in diameter and branching pattern, will be placed, to be cut off by the contestant. The branches must be cut level with the stem, as quickly and as safely as possible. Leave the highway at exit Maienfeld/Bad Ragaz and continue to the village of ‚Maienfeld‘. From the center of Maienfeld follow the signposts „ibW“ or „Bildungszentrum Wald“, which is located approximately 1 km above Maienfeld, right next to the „Heidi“ village. From Zurich: Take the train from the airport to Zurich mainstation. You probably have to change train there and continue your trip towards „Chur“. From Milano: Take the train to Zurich mainstation. You probably have to change train there and continue your trip towards „Chur“. From Munich: Take the train to St. Margrethen, where you cross the border to Switzerland. Continue your trip towards „Chur“. Please call in advance at +41-81-4033333 , when you arrive at Sargans or at Maienfeld railway station. Exit the train at the railway station at one of these stations, we will pick you up from there.